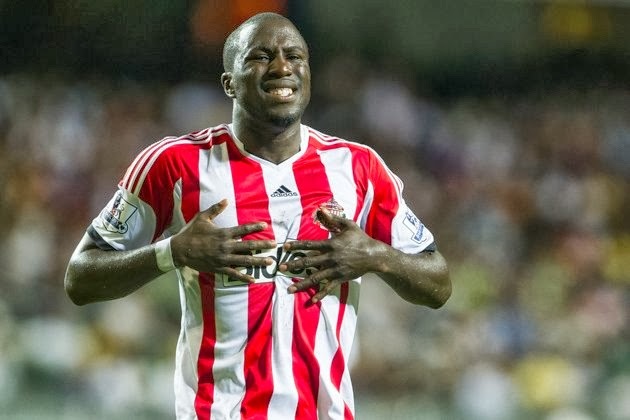 Futbol USA: Was Sunderland the right move for Altidore? Earlier this summer we saw Jozy Altidore leave Dutch Eridivisie side AZ Alkmaar for Sunderland of the Premier League in what was supposed to be a big move for the US National Team striker. These days, the calculations that went into this change in venue are showing some cracks. Why? Sunderland is at the very bottom of the most competitive league in the world with just one point, including an opening-day loss to Fulham at home. They just fired their manager, Di Canio, and are in very real danger of being demoted to the Championship at season's end. Sunderland, on paper, should be a fairly competitive side. Names such as Wes Brown and John O'Shea are familiar to most since they were Manchester United players until recently. Former Juventus midfielder Emanuele Giaccherini is also an experienced player, as are Adam Johnson and Steven Fletcher. Clearly, management was key in their dismal start of the season. On the pitch you can see Jozy very involved in every play he gets a chance to be a part of. He also constantly searches for the ball, a welcome evolution for the player. His touch has not faltered, as can be seen from a wrongly-disallowed goal versus Arsenal that would have tied the game. He does, however, require better service in the air and on the ground. That is where his chances at remaining a top scorer have stalled. Perhaps continuing to be a part of AZ Alkmaar was a better choice for the New Jersey native. He was getting great service, scoring goals-a-plenty and continuing to make his mark in Europe. A mid-table team in a bigger league was the correct next step. However, Sunderland was not the best option and many out there felt that way too. A team like Aston Villa or Everton or Liverpool may have suited him better. Altidore would have done well in a league like Italy or France also. His athleticism and nose for goal were key requirements for a move to those leagues. However, the Premier League was the best option, especially as he grows into a player that might eventually join a top squad. So what's next for Jozy? Relegation is a clear possibility, even this early in the season, given Sunderland's struggles. Would he stay with the team in the Championship? Is his form likely to stall playing with Sunderland prior to the World Cup? All key questions that will need answers as Sunderland begins, hopefully, a recovery. Altidore can be a part of that but crucial, basic evolution will need to take place at the Stadium of Light.